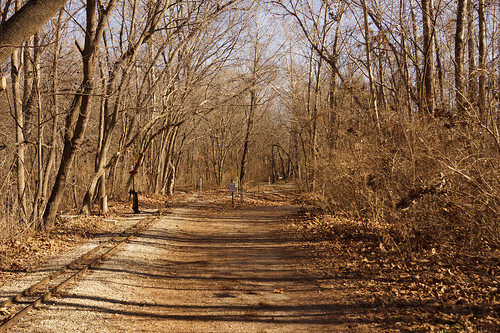 The Al Foster Memorial Trail is the result of a cooperative partnership between Missouri Department of Natural Resources, St. Louis County Department of Parks and Recreation, and the City of Wildwood. 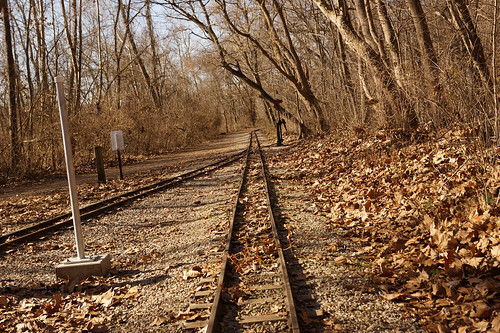 The current trail length is 5.5 miles in length and generally follows the Meramec River from the Al Foster Trailhead in Glencoe to the east through Sherman Beach and into Castlewood State Park. 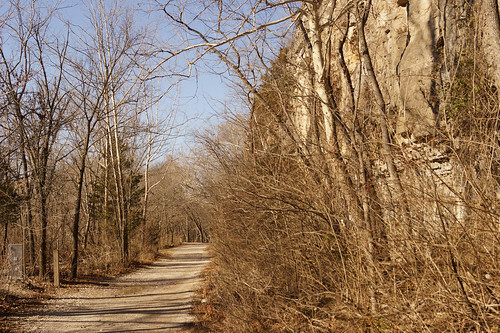 It provides scenic views of bluffs, bottomland forest and the Meramec River. This trail is a great alternative when singletrack trails are simply too wet to ride. 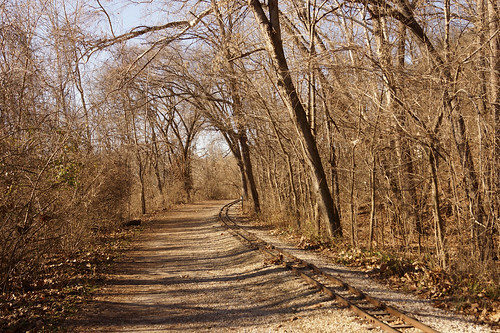 The Al Foster features an eight foot wide crushed stone trail and is available for use by pedestrians and bicyclists. 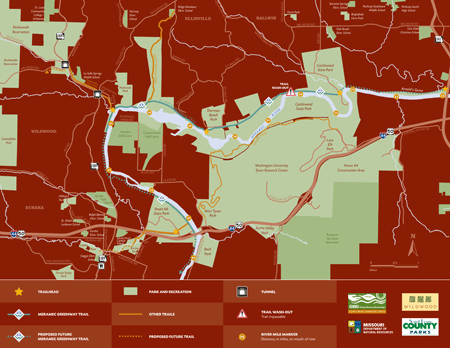 Future connections are planned to Route 66 State Park to the south, and beyond Castlewood State Park to the east. 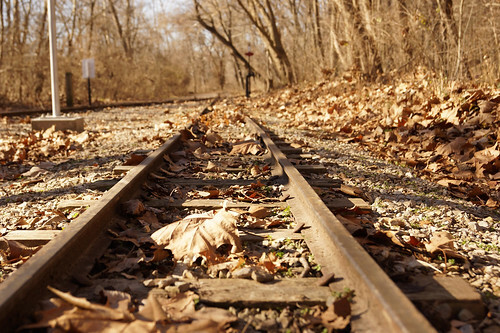 When completed, the Al Foster Trail will become an official segment of the Ozark Trail, which will extend from the confluence of the Meramec and Mississippi Rivers to the Arkansas/Missouri border. 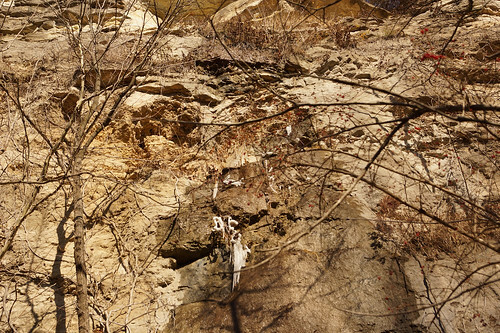 This trail is another example of a "spine" trail that can be used to access several mountain biking trails. You can start in Castlewood and ride into Sherman Beach park, take the Al Foster for a bit and jump on the Rock Hollow and Bluff View trails. Exceptionally motivated riders can take a some pavement and ride into Greensfelder. Getting back to the car is probably the hardest part by the time you've wrapped up your own St. Louis county epic. Perfect hardpack, some loose mud over and puddles near Cedar bluff fork. Generally all clear and dry, but some patches towards Cedar Bluff and Stinging nettle are full of puddles. Mostly open between Rock Hollow and Sherman, as you get closer to Sherman, lots of trees still blocking trail. Sherman Beach parking lot still closed. From Glencoe, trail was immediately covered with sticky nasty smelling mud. Some were walking it, but biking it was not doable.